Cold, crisp air on the wind. Red and yellow leaves dancing on the trees. The smell of applesauce bubbling away on the stove. Autumn perfection. At least for me autumn draws out this innate desire to put of the harvest. I think our ancestors connection to their food might come out a little in all of us each fall. Maybe that’s why food preservation one of the most talked about skills among homesteaders, peppers, back to the landers, and all sorts of self reliant folks. Aside from it’s importance in survival situations preserving your own food can also help you to eat local and organic for cheaper. It’s also better for your health and the environment. While there are several methods of food preservation canning is arguably one of the most important ones because it can be done without any electricity and the canned goods can be stored for years. One of the best things to learn to can as a beginner is applesauce. Apples can be grown all over the U.S. so they’re usually pretty easy to get your hands on. It can be eaten with meals or cooked in baked goods and kids love it. 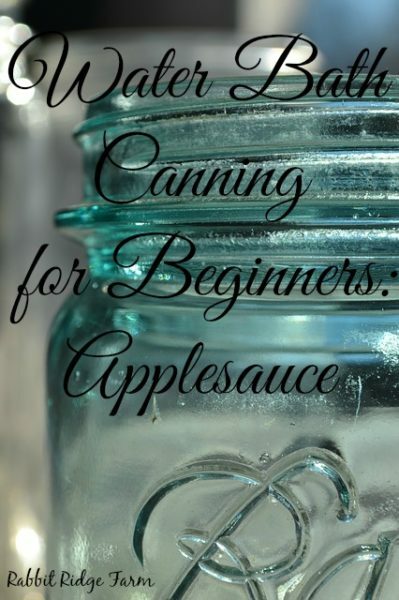 Applesauce is also one of the easiest things to learn to can. Since fruit is acidic it can be water bath canned and is a fairly quick process. When we first became interested in producing our food we decided to grow an enormous garden. We ended up with tons of tomatoes and I had no idea how to save them for winter. I roasted and froze some, we sold some, and ate a lot but we still didn’t really put a dent in the pile. So I bought a Ball canning kit and tried my best to follow some directions for canning crushed tomatoes I found online. It was difficult, scary, and stressful but I got it done! If I can stumble my way through canning 100lbs of tomatoes and not get botulism so can you. The first thing you need is apples. Many people recommend certain varieties of apples but I have always just used a blend of apples we’ve had on hand. We have used Northern Spy, Cortland, Macintosh, Golden Delicious, unknown apples from abandoned trees, and a variety of others. This recipe will use about 8lbs. The equipment you will need includes canning jars with rings and new lids and a water bath canner (a rack and large pot). Optional but extremely useful equipment includes a canning jar lid magnet, canning jar tongs, a funnel and a food mill. You can get all these things in a ball canning kit like we did here. Simmer canning jars in water until you are ready to use them. This ensure they are sterile and if you were to add hot applesauce to cold jars they could crack. Wash lids and rings in hot, soapy water and set them on a clean surface until you are ready to use them. Core apples and peel if desired then cut into chunks. Cook all ingredients in a large stainless steel or enamel pot for 20 minutes or until apples are tender. If you want your apple sauce to be thicker you can simmer it longer. If you didn’t peel your apples or you want smooth applesauce you will need to press your mixture through a food mill or sieve. Pour sauce into scalded pint jars leaving 1/2 inch headspace. Wipe the tops of jars to ensure a clean seal and put on lids and rings. Rings should be finger tight. Process jars for 20 minutes in a boiling water bath. This recipe can also be frozen if you don’t have time to can it. This recipe is a pretty small batch, it only yields 6 pints, but that’s okay! Trying to do too much will just make things stressful. Learning to preserve in small batches is also a great skill to have if you have produce coming in slowly over a long period of time. Try to pick up as you go. Having a messy kitchen makes it harder to keep track of things and keep everything sterile. Don’t be afraid to ask for help. Maybe you have a neighbor who knows how to can or a friend who just wants to learn with you. Whether they have done it before or not, canning is easier and more fun with two people. Have fun and take it slow. Don’t expect to be a master at canning but celebrate your triumphs. Your applesauce will be great! If you’re looking for more information on canning and food preservation I highly recommend this book. It provides recipes and general information on all sorts of food preservation. You can also check out the food preservation section on Mother Earth News here. 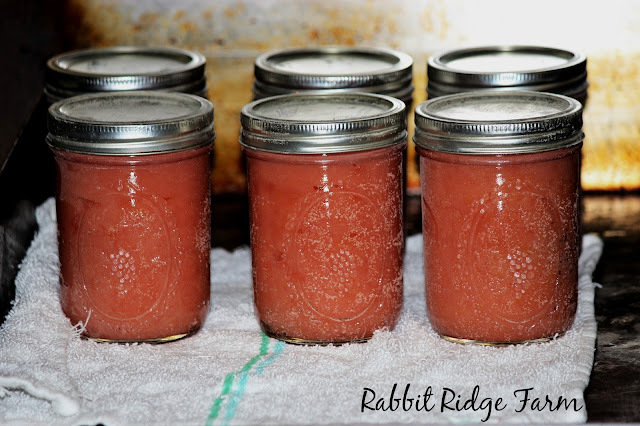 One Response to "Water Bath Canning for Beginners: Applesauce"